The face mist has quickly become an important part of many people’s skin care routines because it is a brilliant shortcut to moisturizing and nourishing the skin during the day when the skin needs to be refreshed. We all know that skin thrives best, when it is well-moisturised. Similarly to how we all know to keep hydrated during the day by drinking lots of water, the skin needs to be hydrated as well. Usually, we give the skin moisture by applying facial creams both in the morning and at night. However, the busy life most of all live can dry out the skin during the day as well. The greatest sinners are cold weather, sunlight, as well as bad indoor climate, especially rooms that have air condition. The greatest way to keep your skin well-moisturised is by giving it fresh moisture during the day as well, so it can stay hydrated 24/7. A face mist is probably one of the easiest products to use, when it comes to your skin care products. It is so easy to use that you can use it anytime and anywhere you are; even on top of your makeup without it getting ruined. Your skin will love to get a quick boost of moisture during the day, and you will love the feeling of freshness that you get from it. Give your skin a boost of moisture several times during the day, when you feel the need to freshen up. The face mist is especially important at summer, when you spend a lot of time in the sun. The sunlight will dry out your skin making it even more important to give your skin an extra boost of moisture. Additionally, it will feel cooling on the skin when you spray, which is very refreshing in the heat. It will also regenerate the skin’s moisture level, when you are on a plane and the skin is exposed to air conditioner, as well as in winter when the skin gets dried out, due to the cold weather. 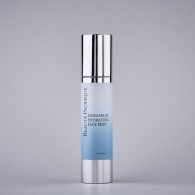 Our face mist can be applied to both face and neck, when your skin feels dry or tight and you need a boost of moisture. It also has an antioxidant effect that protects the skin cells. The antioxidants come from a high content of SuperFruits, such as Lingonberry, and they have the effect of defending your skin from free radicals making your skin feel rejuvenated and refined. A face mist is a must-have item in your bag, because it will instantly reduce dryness, wherever you are.